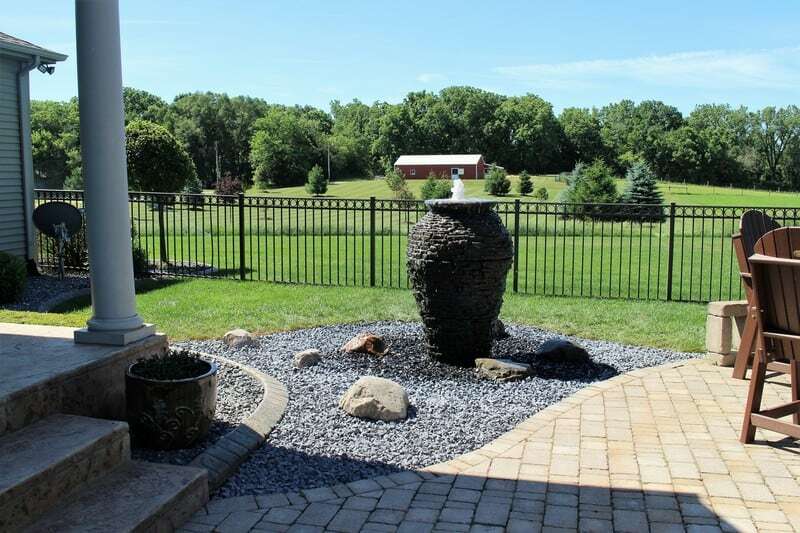 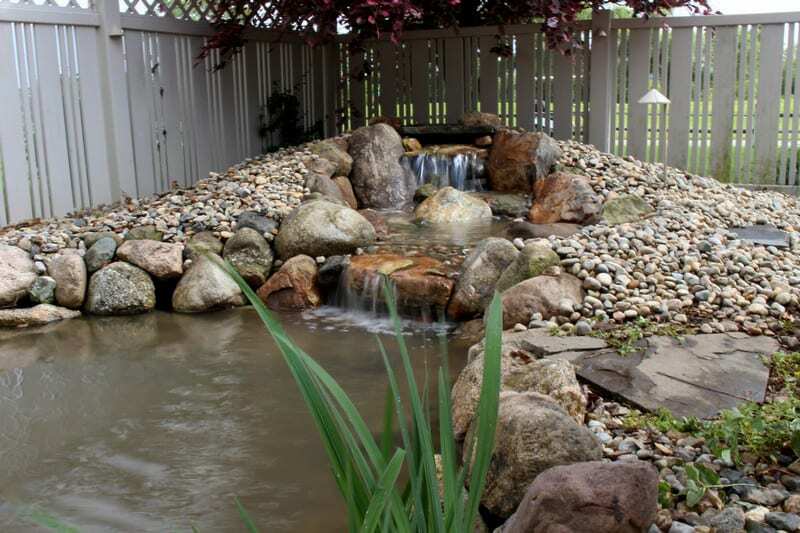 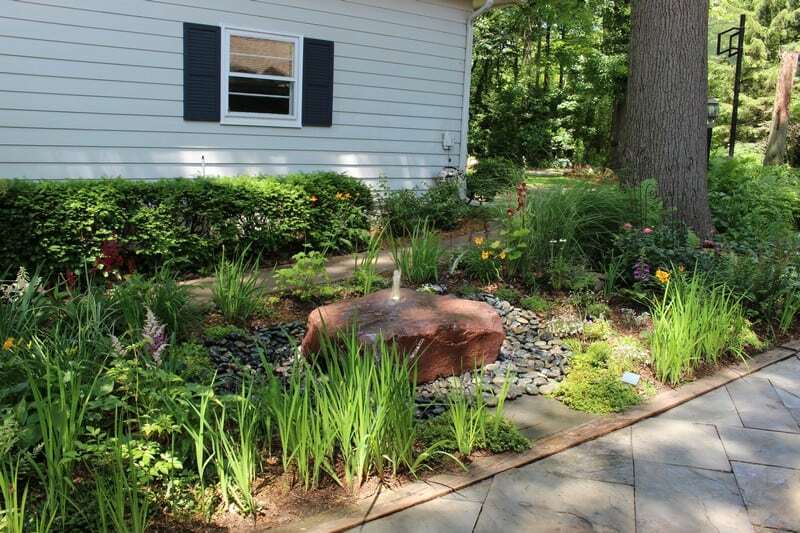 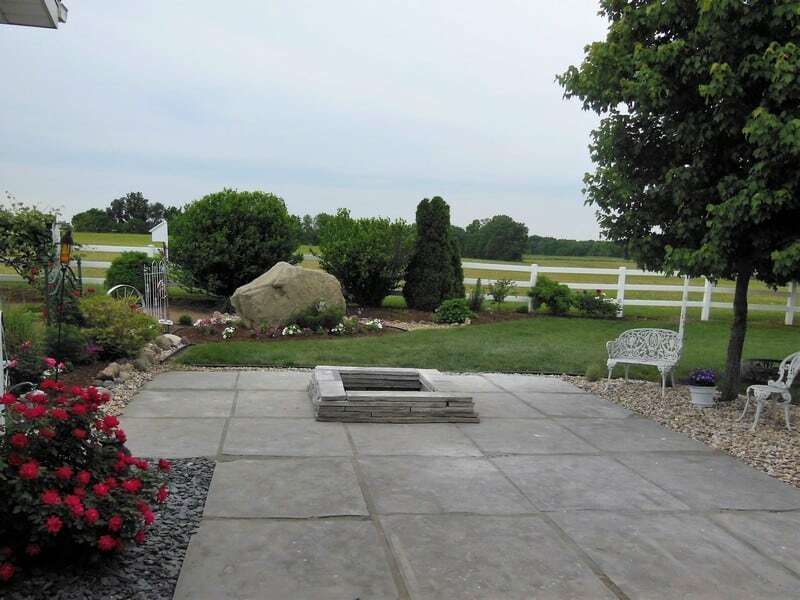 This two-day project in Middlebury, IN, is an 11 x 16' pond with 7' stream and waterfalls built to replace a preexisting, preformed goldfish pond. 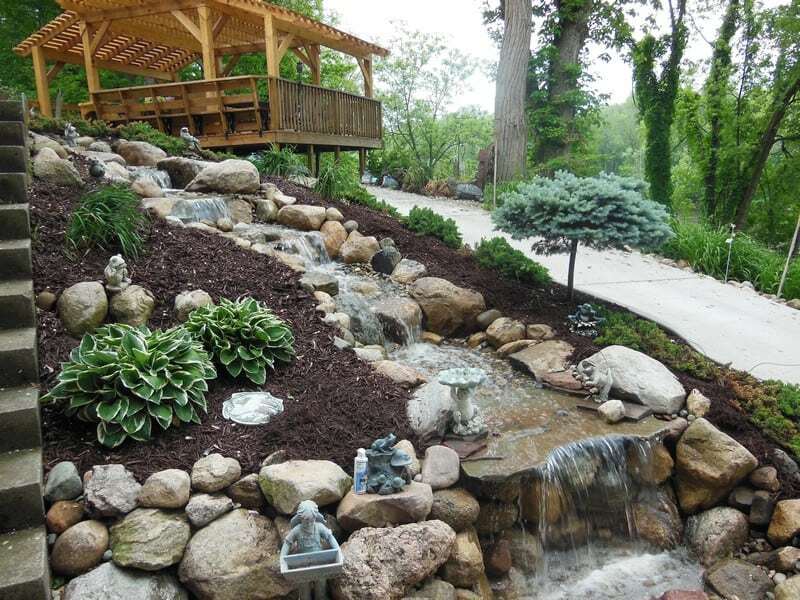 This 14' Pondless waterfall in Columbia City, Indiana was built with a 6,000 gallons per hour pump installed with an IonGen®. 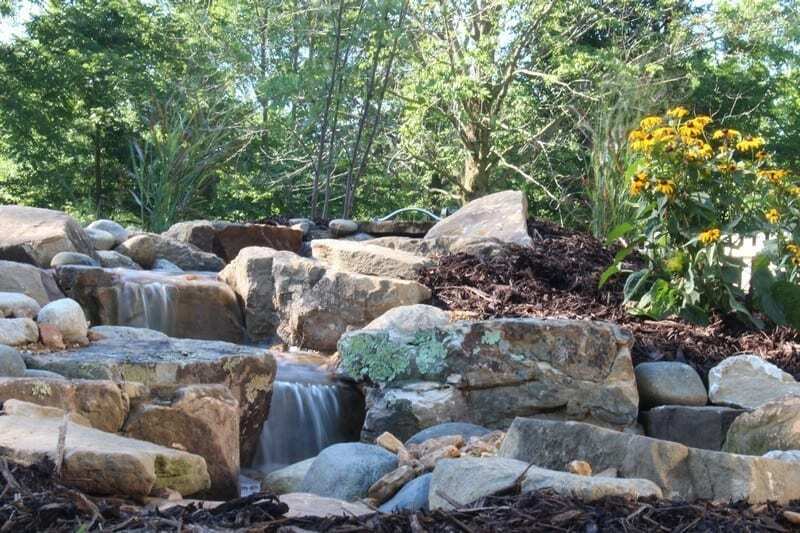 Various types of stones were used including Tennessee boulders and crushed granite along the edge. 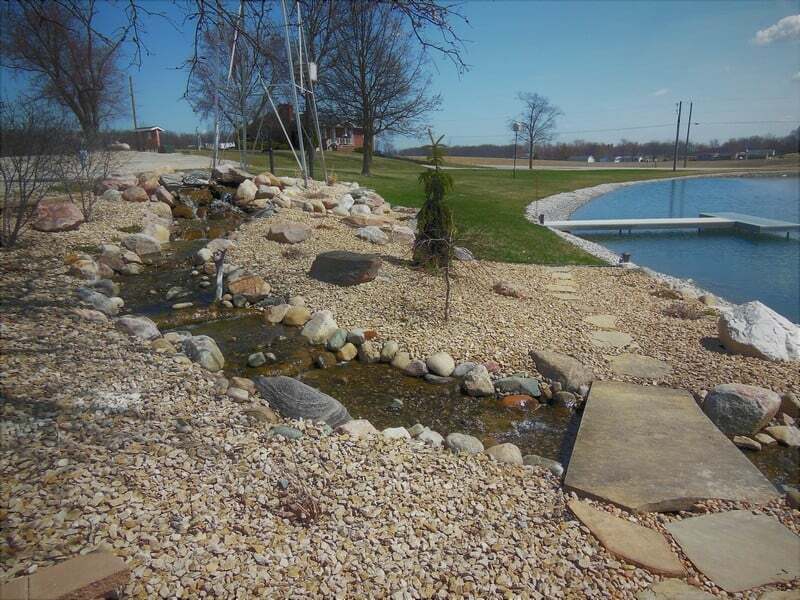 A pond rebuild in Larimer Greens, Goshen. 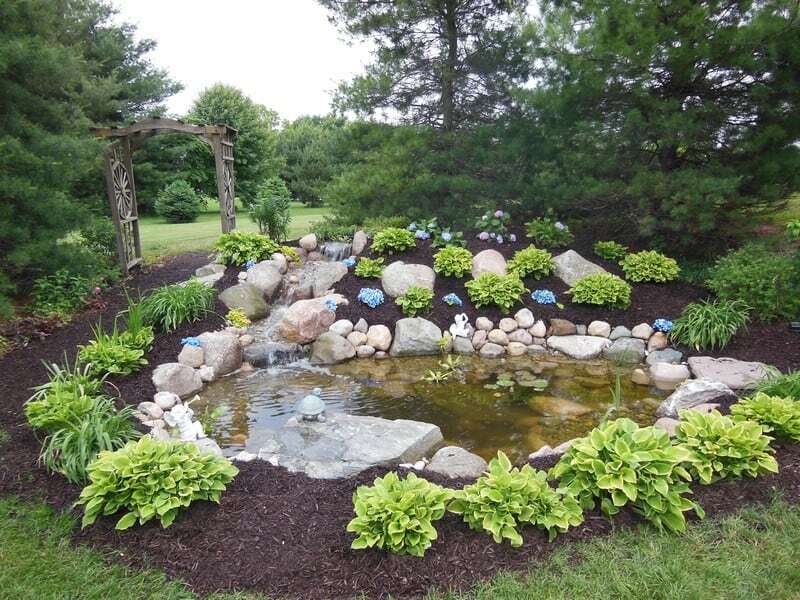 The previous pond design was somewhat dated and had issues with the liner. 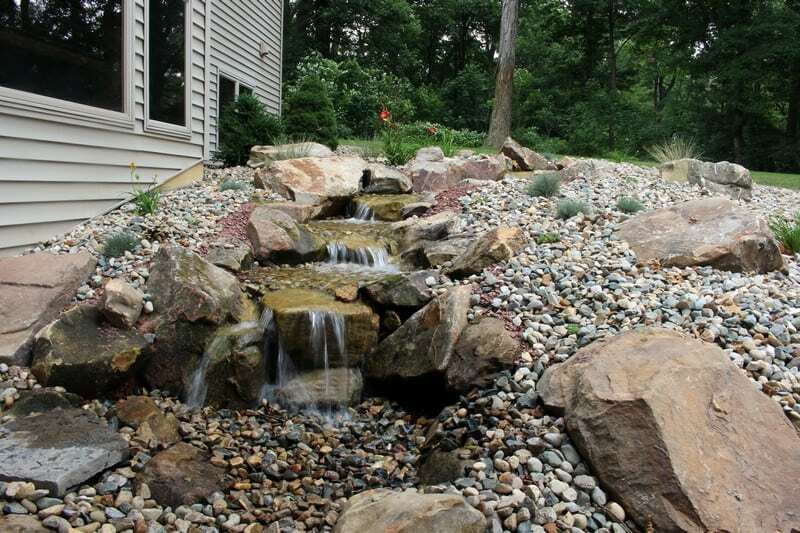 A small existing pond in Fort Wayne that had groundwater issues and stones that were falling out of place. 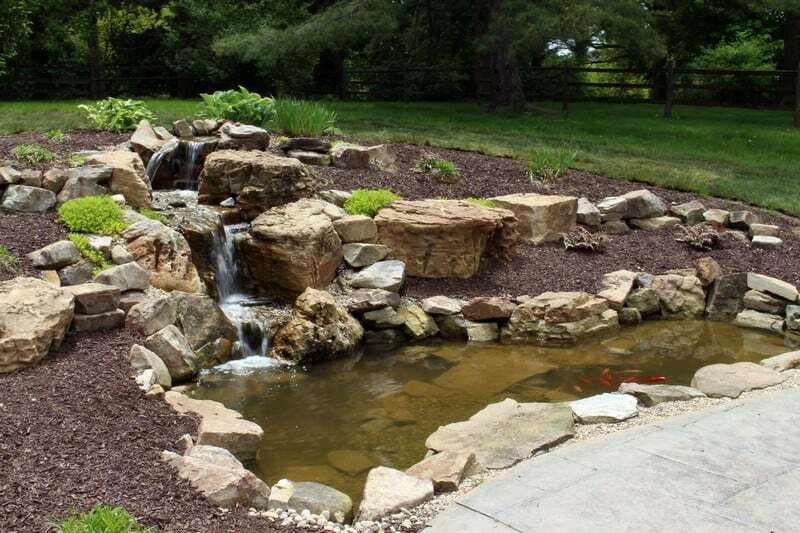 The existing koi fish were moved to a tank while the pond was being removed and a new one built.